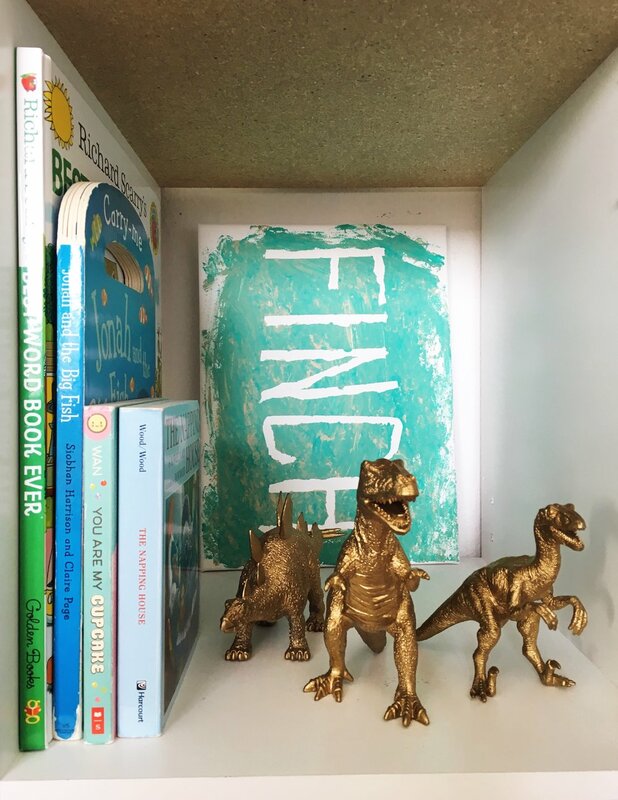 Welcome to Finch's room! It's small and cozy, and I love it! 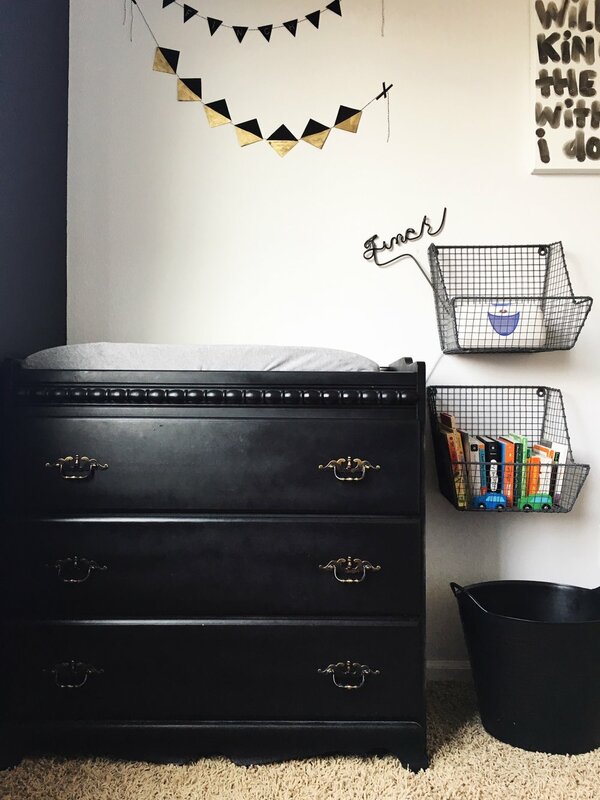 You might remember when we painted the black accent wall, painted the crib and dresser, created the geometric accent wall, and created a DIY nursery art canvas. One of my favorite things about his room is that he uses the same crib and dresser that I used as a baby. I think about it every time I change his diaper and put him to bed - it's very special for me to have them! We painted them black and they turned out great! Almost two years later, the paint has not chipped at all! The Sharpie Paint Marker statement wall was a fun DIY project - I know it's not for everybody, but I hope Finch will like it. If not, we can just paint over it! I am Finch Christianson Williams, the son of a King who is not moved by the world, for my God is with me + goes before me, I do not fear for I am his. The dresser is pretty small, so we created additional storage in the closet to hold extra sheets, clothes and shoes. All of the hanging clothes are for him to grow into, and everything that fits him now is in the dresser. I love shopping for him, can you tell? Most of it is second-hand, which is my favorite way to snag a good deal! You've probably noticed his room is very black and white! This color scheme just seemed to be the easiest, but I have enjoyed bringing in pops of color through artwork and toy baskets. I wanted to make sure to have a few toys and books accessible. Finch is really into books right now - he loves grabbing one out of the basket and then climbing up onto the rocking chair to "read" it. It makes my heart very happy! I tried to link everything below, but let me know if you have a question about anything!